David Yates again takes the director’s chair for the sixth instalment of the Harry Potter series. As Harry returns to Hogwart’s school of wizardry for another year of teenager angst and dark magic, director Yates has the difficult task of adapting J.K. Rowling’s overlong and exposition-heavy novel. Harry Potter and the Half-Blood Prince always felt like a prelude to something else in its literal form, as if Rowling knew how she wanted to end her saga but was unwilling to start that conclusion with her sixth book. The film is much the same. 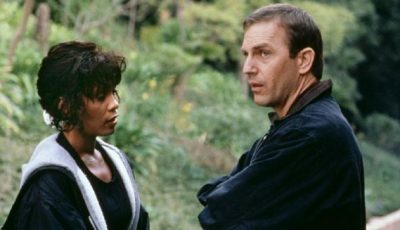 It’s a solid effort with some wonderful moments and fantastic production design, score, and special-effects, but Yates with writer Steve Kloves, can’t overcome the novel’s inadequacies. For a book that is based far too much in flashback and back-story, the Half-Blood Prince as a movie, feels a little disjointed, rushed in places and overcooked in others. Yates goes to the ever-blossoming talent of Rupert Grint’s comic sidekick, or Emma Watson’s teenage lust and broken heart to create some character-driven forward momentum, but it detracts from the underlying battle between good and evil. A battle that Rowling unfortunately presents in the book as a series of dream-induced flashbacks that, had Yates featured in their entirety, have made for a very long (even longer than its current two hours forty) film. Essentially, The Half-Blood Prince as a book and a film, is an introduction to a grander concluding story. As such, it never distances itself from a sense of the episodic. It also doesn’t work as well as the other films in the series as a stand alone story. It expects that you already know what has happened previously, beginning as it does, only hours after the Order of the Phoenix ended. New viewers therefore will feel immediately alienated, and the lack of a consistent plot which doesn’t end satisfactorily, will leave newcomers scratching their heads. Die hard fans of the books will complain Yates left out too much exposition, while fans primarily of the movies (of which I count myself) will begrudge a missed opportunity to make a film that distanced itself from a book that was always going to be troublesome to adapt. However, you’ve got to give Yates and Kloves credit as the film starts rather well. Through a hazy, over-exposed frame we see a bruised and bloody Harry Potter under the microscope of the paparazzi’s flashing camera lenses. The media is beginning to take note of this young magician’s ability after his latest battle with Voldermort left Harry’s godfather Sirius Black dead. Meanwhile, Voldermort’s henchmen, the Deatheaters, are on the rampage. In a sequence that was shown in 3D in selected IMAX cinemas, the Deatheaters crash through a grey English sky and fly imperiously through London streets before causing havoc for a bunch of tourists on the Millennium Bridge. It’s a terrific sequence that features a grand score from Nicholas Hooper that fills the soundstage with succulent bombast. Couple this with refined special-effects that seamlessly mix the panoramic views of London with the swashbuckling flying menaces and you have an opening to cherish. But the early action is a little misleading. After Harry (Daniel Radcliffe), Ron (Rupert Grint), and Hermione (Emma Watson) follow Draco Malfoy (Tom Felton) into Borgin and Burkes magic supplies shop, where Yates sets up Draco’s mysterious work for Voldermort, the film moves down a gear or two. As the teenagers board the train to Hogwarts, the film begins to concern itself more with romantic sub-plots than Draco’s more interesting late-night excursions to a strange old closet that appears to make things disappear and reappear on his command. Infuriatingly, too much time is spent watching Ron and Hermione in will-they-won’t-they fall in love moments, while Ron tries to avert the obsessive attentions of Lavender Brown. Admittedly, Rupert Grint has really grown into the part of Ron, and makes a lovely comic antidote to the more dark aspirations of Harry. One of the film’s most amusing sequences sees Ron under an enchantment that makes him fall madly, and compulsively, in love with Romilda Vane. Hence Jim Broadbent’s Professor Horace Slughorn being mollycoddled by an overzealous, hormone-ravaged Ron Weasley as the aging Professor quickly tries to make a potion to cure him. This is going on while Harry and Ron’s sister Ginny are locked in their own battle of the hormones. When they eventually kiss in a scene that is both touching and endearing, ultimately its only achievement is to distant the story further from the dark drama that is ensuing. You wonder how Alfonso Cuaron (director of Harry Potter and the Prisoner of Azkaban) or Mike Newell (director of Harry Potter and the Goblet of Fire), who both found an agreeable artistic knack with the darkest aspect of their respective stories, would have approached the Half-Blood Prince. The aforementioned directors had better source material to work with but Yates seems overly content to play for laughs, only exposing exposition when he absolutely has to. 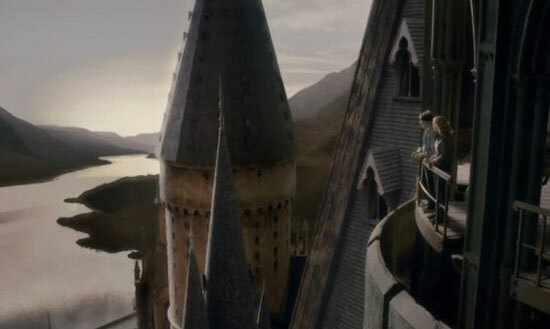 By the time Harry and Dumbledore set off on a mission to destroy Voldermort, the would-be adventure appears out of nowhere and plays in much the same episodic nature as the rest of the film. Anyone new to the franchise would find it rather difficult to feel any sense of dread or foreboding for Harry and Dumbledore’s impending battle since the antagonist is presented throughout the film as a mere distraction. We are constantly told Voldermort, or his childhood persona Tom Riddle, is the man of who you do not speak his name. It seems the film took that too literally. And that’s where Yates should have distanced the film from the source material. The book is essentially as much about Voldermort as it is about Harry Potter. Yet, Voldermort’s part in the film is limited. Indeed, Ralph Fiennes who plays Voldermort as an adult in previous instalments, isn’t seen at all. 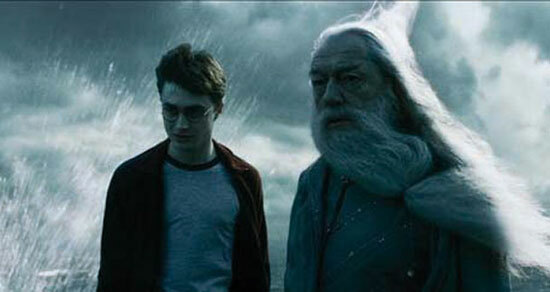 Likewise, the book’s most appealing real-time sequence is Harry and Dumbledore’s adventure together. This should have taken precedence and been given a bigger part to play in the movie. And yet, when the book gets it right, Yates gets it wrong. During one of the book’s final scenes Harry is frozen under his invisibility cloak and cannot help a friend in mortal danger. In the film, Yates has Harry simply stand and watch on Dumbledore’s orders. This seriously detracts from the scene, making what could have been a wonderfully dramatic and tension-filled finale into an ending that goes out with a whimper. However, one thing that gets better with every Harry Potter film are the performances of the three leads. Emma Watson doesn’t have a great deal to do but the youthful ego of her Hermione Granger is confidently underplayed. 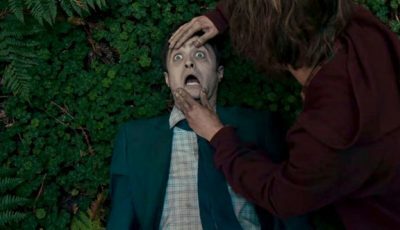 Daniel Radcliffe will forever be the face of Harry Potter and here he finds little trouble moving between light-hearted comedy and dark-rooted drama. Rupert Grint, however, is definitely the stand out of the three, as he has really got to grips with the comedic side of his character. Michael Gambon is reliably on-form as Professor Dumbledore, Jim Broadbent enters the franchise with an assured performance as Slughorn, while Alan Rickman and Robbie Coltrane, although shamefully underused, are terrific in their roles. Helena Bonham Carter also stands out for her sadistic Bellatrix Lestrange, while Tom Felton as Draco excels as the chief baddie of the piece. He’s like a young Ernst Stavro Blofeld, learning his trade to conquer the world. Harry Potter and the Half-Blood Prince is probably the weakest instalment in the series. 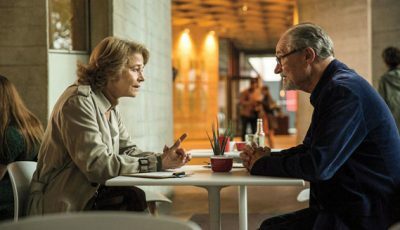 It very much relies on your knowledge of what has gone before, and fails to move the story forward, seeming more like a prelude to what is to come. The performances are fine, indeed, Tom Felton and Rupert Grint have never been as good, but the plot leaves a lot to be desired. You’ll wait a very long time for the story to move forward and when it does it’s a bit of a letdown. However, the production design is in keeping with the quality of the rest of the series with some lavish locations, beautifully photographed townships and cityscapes (the London underground even looks fantastic), and Hogwarts is its magical best. Nicholas Hooper’s score is suitably grandiose, and the special-effects team of Tom Burke (Visual Effects Supervisor), Nick Dudman (creature and make-up effects), and John Richardson (special-effects supervisor) are worth mentioning for almost perfect creation of Rowling’s fictional world. The sixth Harry Potter film isn’t without its highlights and there are a few surprises along the way but it doesn’t live up to the high standards set by Cuaron’s Prisoner of Azkaban or Newell’s Goblet of Fire. Ultimately, the Half-Blood Prince simply sets up the adventure to come, and instead of satisfying fans who’ve waited a long time for the sixth film to appear, it leaves us unfulfilled, our anticipation only heightened for film number seven. Incidentally, I think this is the best film incarnation. It’s a HORRID adaptation, that I’ll easily admit but as a standalone film I think it really works well…perhaps Prisoner of Azkaban may give it a run for its money. I don’t know what it is about it, but it seems to flow effortlessly even though there’s much more than should have and could have been included I don’t blame it for not being book. I am counting down till the upcoming Potter movie. Not that long to go. I can hardly wait for the latest Harry Potter premier. Not many more days to wait.